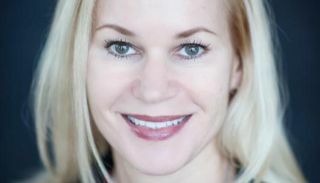 InfoComm International has named Heidi A. Voorhees its new chief operating officer. She brings 20 years of trade association and private business experience, and will lead InfoComm's North American operations and global marketing and communication efforts. Voorhees brings significant expertise in operations management and strategic planning. She spent nearly 10 years at SmithBucklin, the world's largest association management company, where she oversaw meetings, conventions, trade shows, and executive events for anywhere from 10 to 20,000 participants. Voorhees also has experience in association marketing and trade show management from her time as vice president of strategic initiatives at the Institute of Food Technologists and senior vice president at Experient, a global event company. “This role is the perfect combination of association and trade show operations, which are my two professional passions,” Voorhees said. “I'm captivated by the incredible staff and leadership that share my values of taking care of members and by the dedicated volunteers who are focused on the future of the industry. I am excited to collaborate with the team and volunteers at this exciting time for InfoComm."